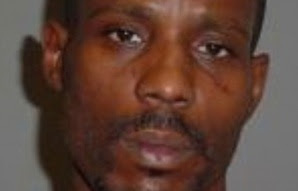 MIAMI - Rapper DMX has pleaded out a Miami drug case and now awaits extradition to face more charges in Arizona. The 37-year-old rapper and actor pleaded guilty Wednesday to attempted marijuana and cocaine possession and was sentenced to time served. His lawyer Bradford Cohen says DMX is still in custody waiting for Arizona authorities to pick him up on drug and animal cruelty charges he faces in Phoenix. Cohen says the rapper, whose real name is Earl Simmons, decided to plead guilty when he was denied bail earlier this week due to the outstanding Arizona warrant. Cohen says if he hadn't pleaded out, Simmons would have had to sit in jail in Miami until an October trial date.